I Am Going For A Walk Around The Washington, D.C. Tidal Basin! A New Ability Guidebook for DC! My recent National Education Association Foundation Global Fellow Conference was in Washington, D.C. and I took the opportunity to get a lot of pictures for new books. Many thanks to the NEA Foundation for bringing me to the capitol which allowed me to get these made! 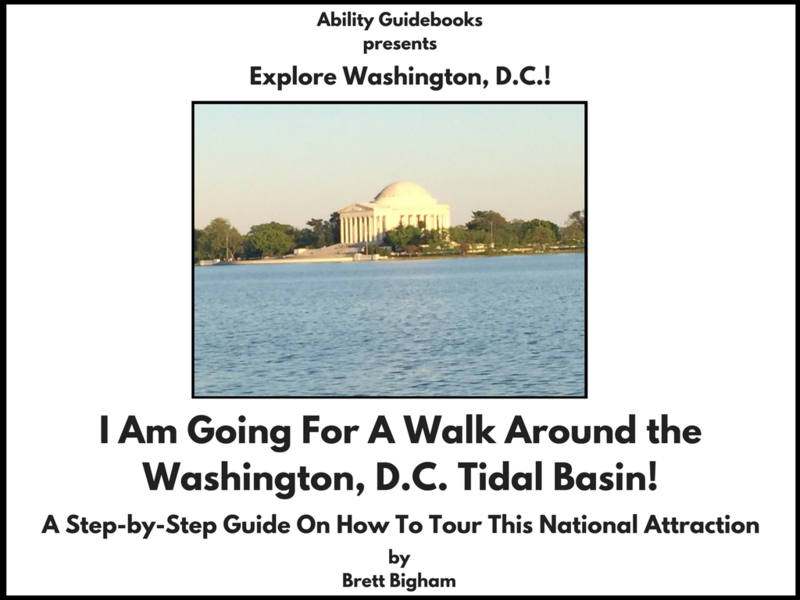 Ability Guidebook_ I Am Going For A Walk Around the Washington, DC Tidal Basin! Author Brett BighamPosted on October 14, 2017 Categories UncategorizedTags Ability Guidebook, autism, brett bigham, FDR, Franklin Delano Roosevelt Memorial, George Mason Memorial, Jefferson Memorial, Jr. Memorial, Marlin Luther King, MLK, oregon, teacher of the year, Tidal Basin, Washington DCLeave a comment on I Am Going For A Walk Around The Washington, D.C. Tidal Basin! A New Ability Guidebook for DC! A Little Bit About Brett…. Brett Bigham is the 2014 Oregon State Teacher of the Year and the recipient of a 2015 NEA National Award for Excellence in Education. He is the first Oregon Special Education Teacher to be named with these honors. As a 2015 NEA Global Fellow Brett travelled to Peru to meet with Peruvian teachers, students and dignitaries. He has visited schools in more than 20 countries and is proud to be a voice both here and abroad for people with disabilities. He has created Ability Guidebooks for people with autism or who are near-diverse. In 2015 Brett was honored with the NEA LGBT National Teacher Role Model Award and he is proud to advocate for LGBT teachers and youth. In July Brett will be presenting at the NNSTOY conference in Chicago and at the Save Our Schools Rally at the Lincoln Memorial on the National Mall and Conference at Howard University in Washington, D.C.
A Brand New Ability Guidebook For India!! Let’s go visit Ajanta Ellora Caves! 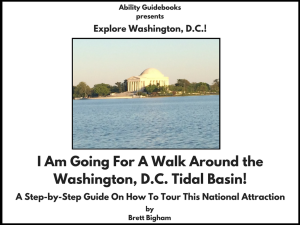 Soon Washington, D.C. Will Have More Ability Guidebooks Than Portland! An Easy Ability Guidebook to Visit The Gandhi Statue in Washington, D.C.
A New Ability Guidebook for the District Six Museum in Cape Town, South Africa! More Free Supports for People with Autism in Johannesburg! I Am Going To Sisulu Square! Johannesburg Has Their First Ability Guidebook! I Am Going to the Nelson Mandela House! Free online autism support! A New Support For Autistic People in South Africa! I Am Going To The South African National Gallery! With Heartfelt Thanks to the NEA Foundation: South Africa Has It’s Very First Ability Guidebook. I Am Going to The Company’s Park! Because I LOVE the National Parks! A Guide To Help Kids With Autism Meet Woodsy Owl!! I Am Going To The Galileo Galilei Planetarium! The First Ability Guidebook for Argentina!